Let us add a little or a lot of shine to your little sweetie's life with our NEW! 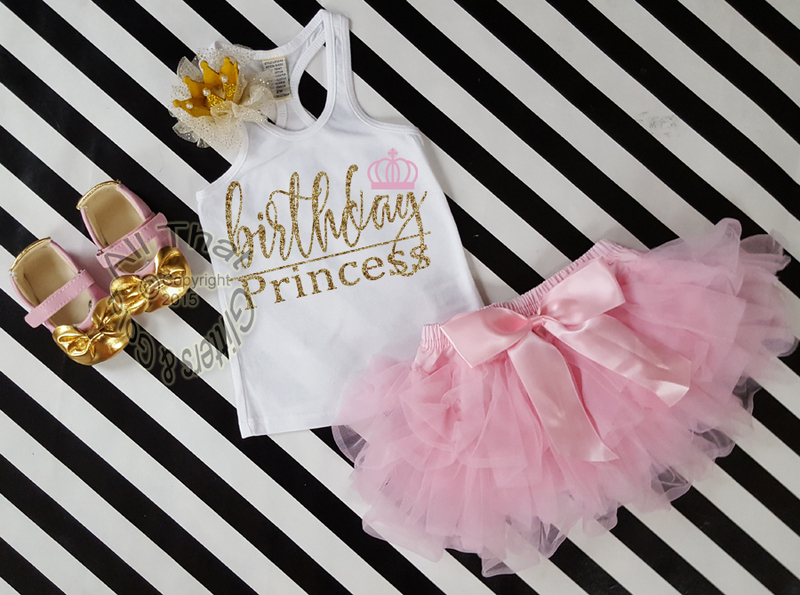 trendy pink and gold Birthday Princess tutu birthday outfit. 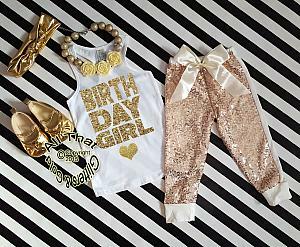 This outfit is so cute and perfect for your little angel's 1st, 2nd or 3rd birthday celebration, photo shots or every day wear. 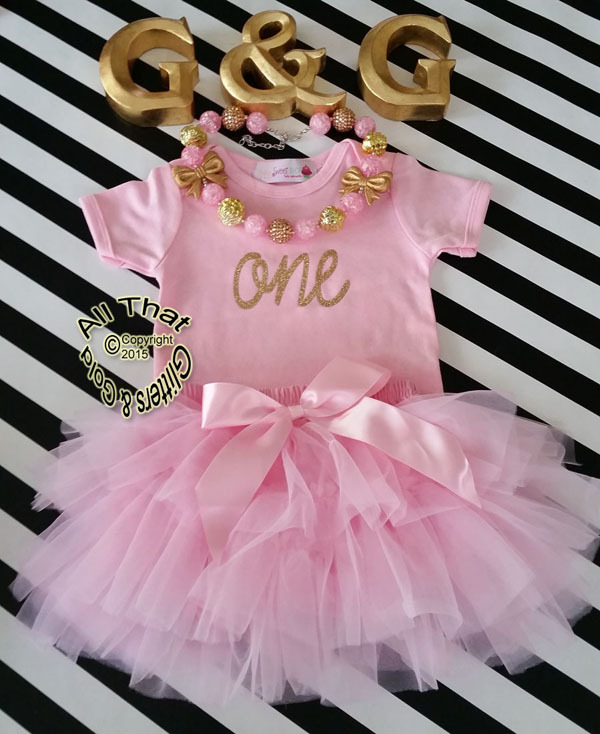 Made with a pink and glitter gold design on a white cotton bodysuit and paired with a chiffon tutu skirt with attached bloomers. The glitter will not get all over your princess.